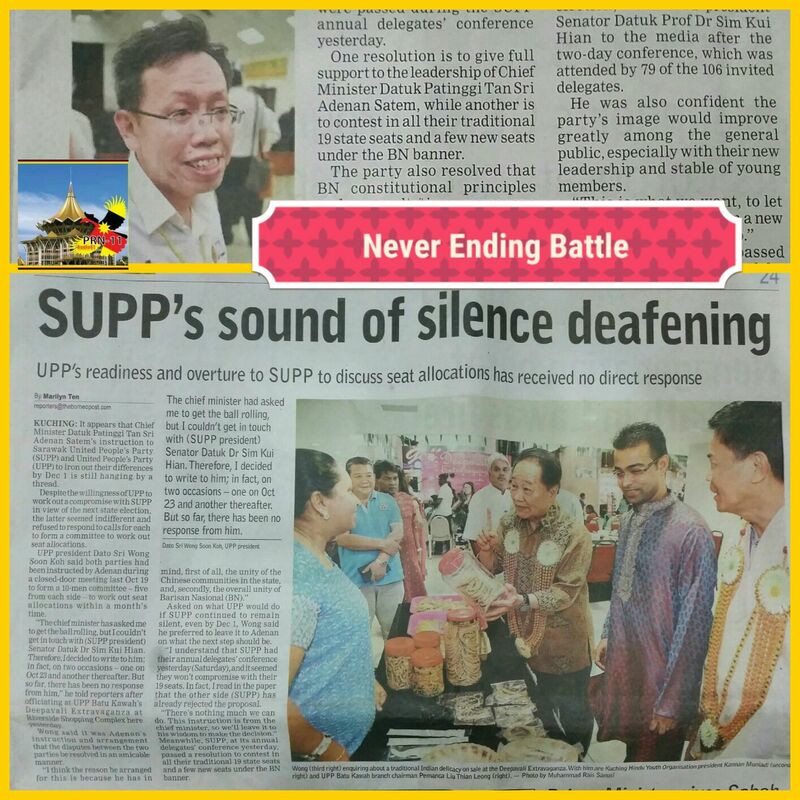 SPDP members from all over Sarawak will be at Bintulu this coming weekend. We will be using twitter and FB to keep you all updated on news,happenings and events as and when we received them. I was curious and telephoned ADUN Batu Lintang up and what he meant was that it referred to a posting by SUPP Youth SG Wilfred Yap. Its not dissimilar to Masings he said. He should have just zapped it and try to avoid a backlash plus condemnation,says YB See. But what actually sparked the flurry of activities which left a distasteful feeling in the mouths of some. So finally SUPP got the opposition to come out fighting but it was only PKR we thought. But looking at the comments which we copied for all to see it has irked many. Be ready SUPP for more gunfire, artillery and mortars thrown at your direction. Wilfred has justs “pissed” of one too many. SUPP Cyber troopers be ready to lend a hand..Where are you..?? Michael LingThe power in our-peoples hand is to vote and crash BN 6 ft under in coming GE. Nicholas RstThere is NO necessity for anyone to instruct others who to vote.The voters themselves have the very power to do so.After seeing and experiencing ‘so much’ all this while they surely know who to vote without being instructed to do so.Good luck. SyJen Simon SiahSec-Gen of SUPP Youth said that to ensure continuity towards stability and a high income economy, we have to vote the BN Government? What crap is this? Wawasan 2020 for a high income nation is only 8 years away and according to Idris Jala we are going bankrupt by 2019. As a matter of fact most Malaysians especially Sarawakians are still living below poverty line. BN has cheated us for over 50 years, give them another chance to cheat us for another 50 years? NO WAY. BN Must Go. SyJen Simon SiahThis is the BN people mentality. First they say “Jalan Lawan Tauke” and now this Wilfred Yap is saying that the people don’t understand the power they have in their hand. What power is he referring to? Power to choose a Tauke? Nicholas RstPower to topple the government of the day? See Chee HowFrom “Jangan Lawan Towkay” to this “the people don’t understand the power in their hands”, the BN leaders’ arrogance and their belittling of the people is a shared BN culture? Derrick LeeThat’s not for him to say at all. He is a Partner at a law firm owned and operated by the Deputy Speaker of the Malaysian Parliament and only God knows how he got there. Perhaps he’s work his way up to today’s position or the government may have helped him in some way in his conquest. Either way, Malaysians not linked to the BN government in general have worked their arses off to make a living with costs rising. The State BN government and Federal BN government doesn’t even see eye to eye. Najib says Malaysia to be wealthy nation by 2020 whereas Taib said Sarawak to be wealthy state by 2030. Is Sarawak not part of Malaysia? His mind-set, is disappointing and it shows that he is completely out of touch with the people. Bottomline is they still consider Malaysians to be stupid, it’s either them or the other way round. Leon LeeAnother one of these kind of character. Plenty of these in BN. Just like the Mong Dagang fellow, the ppl within the corridors of power in BN has been ruling the nation for far too long. So much so, they have long forgotten the true spirit of democracy and that the saying “A government by the people, of the people and for the people” is not mere rhetoric. Instead, it is a reminder that the Gov of the day is there to serve us, the common Rakyat.. and not the other way around. Melton Kaisleave them alone and let them savour the final moments of their habitual self gratification because the end of the road for them is just around the corner.we know what we want and its not for them to tell or advice us…they can save the advice and devilish plan for themselves. Mika’il ChenWhat I do understand is the power of my ONE vote. Please carry on with your condescending tone, if not, just to entertain, inspire and infuriate THE PEOPLE further. Thank you. Wilfred YapAgree with you perfectly but don’t you all think that the people deserve to hear the truth and not half-truths in Pakatan’s ceramahs. Mika’il ChenAfter 50 years, BN cannot even sort out minimum wages and you intend to impress the lot here with economics on achieving high income? Chuck it. Leon LeeWilfred Yap: a very serious allegation, that PR does not speak the truth in Ceramahs .. have you any evidence of wrongdoings? If you do, I’d gladly invite you to publish it out… Or else, your empty rhetoric and slander will no longer hold much water. The political arena has changed much since your honeymoon days … Today the Rakyat is smarter, better informed and is more objective in their evaluations. Show proof, or apologize. Irene ChuaWhile the leaders and their cronies fete on people’s taxes and nation’s resources, they pour scorn on masses for whinging about raising cost and asked them to live within their means. Go on Wilfred, what truth are you up to? Melton Kaisi am deeply dissapointed by the incessant misbehaviour of bn politicians who thinks they are smarter and indispensable lot.you and your friends in bn have lied enough mr.wilfred , we will believe no more. Leon LeeBankrupt of ideas, blind to the wrongdoings of Taib, powerless to speak up. What’s left? Continue the lies, slander & dirty politics? It did not work on 2011, it will not work in GE13 either. Wake up. Leon LeeWilfred: I had the unfortunate chance to engage your youth counterparts in Gerakan & MCA on a daily basis here. They are singing the same old tune as you… You think it’s gonna work? Think again. Melton Kaistheir ignorance, arrogance and stubborness will be a blessing indisguise for us. E.t. OngIt is time for us to vote the BIG BULLY AND CORRUPTED POLITICIANS OUT.They did not appreciated that we vote them in the first place. now in return, they treat us like beggar Mr.Wilfred, Sabah and Sarawak have Oil, Pepper and Timbers and other resources whereas Penang only has Sea Water and Air, yet they able to give incentives in Cash and Kind to his peoples but Sabah and Sarawak could not give even 100 Ringgit to OKU. WHAT A SHAME TO YOU POLITICIANS CONTROL SABAH AND SARAWAK. IT TIME FOR YOU TO GO. VOTE FOR CHANGES, FOR BETTER LIVING CONDITION AND MORE CARING GOVERNMENT ONLY PR OR PENANG DAP HAD DONE IT.We want a government, who cares for its people not a Politician who think he is a Napoleon . Wilfred YapWhy don’t you guys read the comment in Malaysia Insider on minimum wage? It should enlighten you guys. Melton Kaisthe whole story is about the “half truth”as alleged by yourself….meaning there is some truth in it.any kind of truth no matter how minute would be most welcome in this federation which has been bombarded with propaganda full of lies for the past 48 years.it is not just about minimum wage. Tat Limwilfred yap> turth. half-truth or no truth, the people will judge. 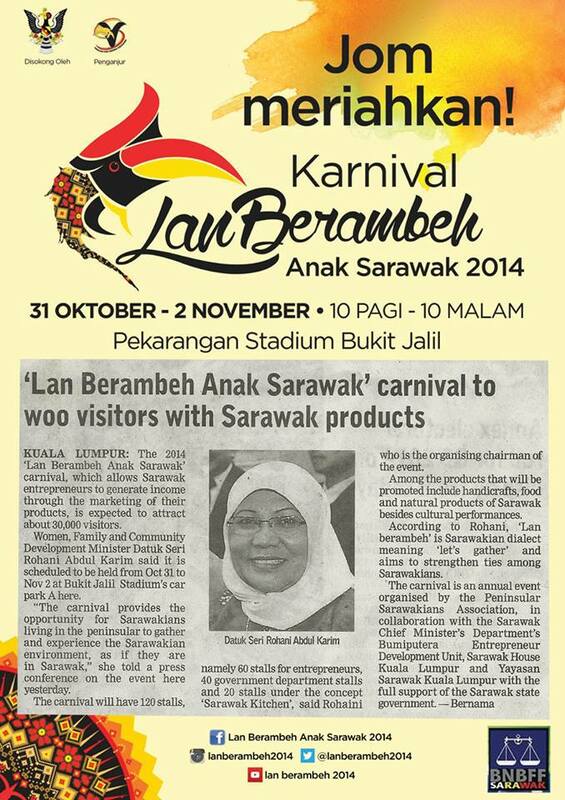 u buy what ur pak moh chief said that ` HE & HIS FAMILY DO NO BUSINESS IN SARAWAK’? power in the hands of the people under BN > MY FOOT! Alvin GodSpeedWILFRED YAP, WITH OR WITHOUT BN MALAYSIA WILL STILL SHINE, MALAYSIA WILL STILL GROW AND BE A HIGH INCOME NATION. 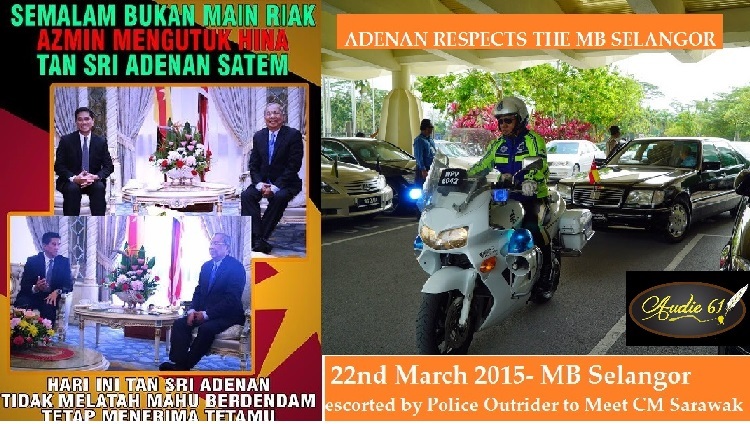 NEEDLESS TO COMMENT ABOUT THE “GOOD DEEDS” THAT HAS BEEN DONE BY THE BARISAN GOV. Alvin GodSpeed http://www.youtube.com/watch?v=ZN2DdStmMqo&feature=youtube_gdata_playerto all pakatan supporters kindly watch this video. 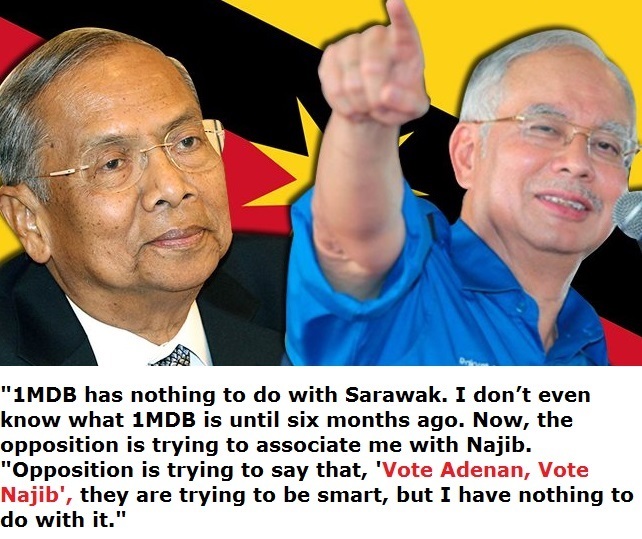 without BN there will be no development? LMAO…..
Bakhtiar Abdul RahmanGeorge Chan lost to young man. I love to see Peter Chin lose to a young lady. Wilfred Yap’s mouth shut forever. Melton Kaistheir political culture was moulded by their master, tuan umno and the white haired emperor of sarawak. Lynn Cheang Let Wilfred Yap walk his crab talk, stand in GE13 and lose his deposit. Higher income? Yes for BN cronies lah! SUPP is history. We don’t need Chinese representation; we just need honest, god fearing Sarawakians to implement just and fair governance and give help to those who are marginalised or less priviledged.